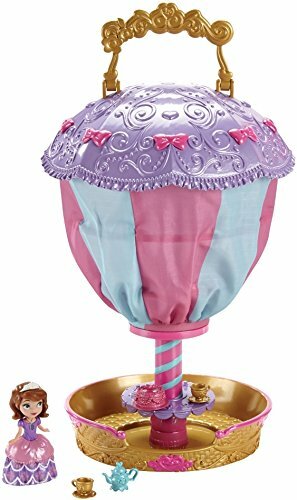 Disney SOFIA the First BALLOON TEA PARTY Playset NEW! Up, up and away! 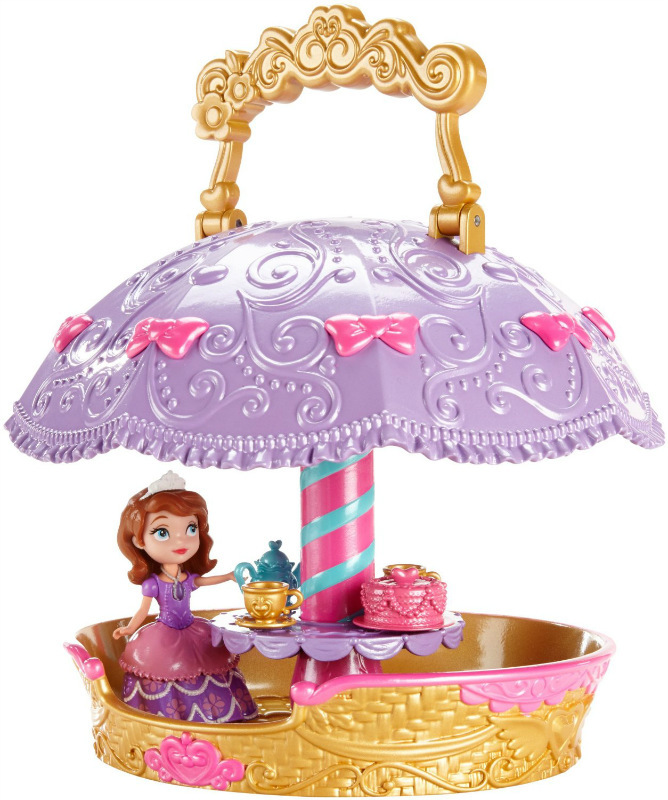 Send adventures soaring with the Sofia the First 2-in-1 Balloon Tea Party. Why settle for a tea party on land only, when you could also take it up into the clouds? The ultimate tea-for-two party begins on land with Princess Sofia and one of her best friends (sold separately) sitting around the table and serving tea from the included teapot and two teacups. When it’s time to fly, simply lift the handle and the umbrella opens to form a hot air balloon ready to “fly” into the big blue sky. For added fun, the table spins around taking the party to dizzying new heights! Ages 3 and older.